If you watched Bobby Worrest’s Nine Club episode, then you are already hip to the fact that the new Krooked video is dropping this weekend. 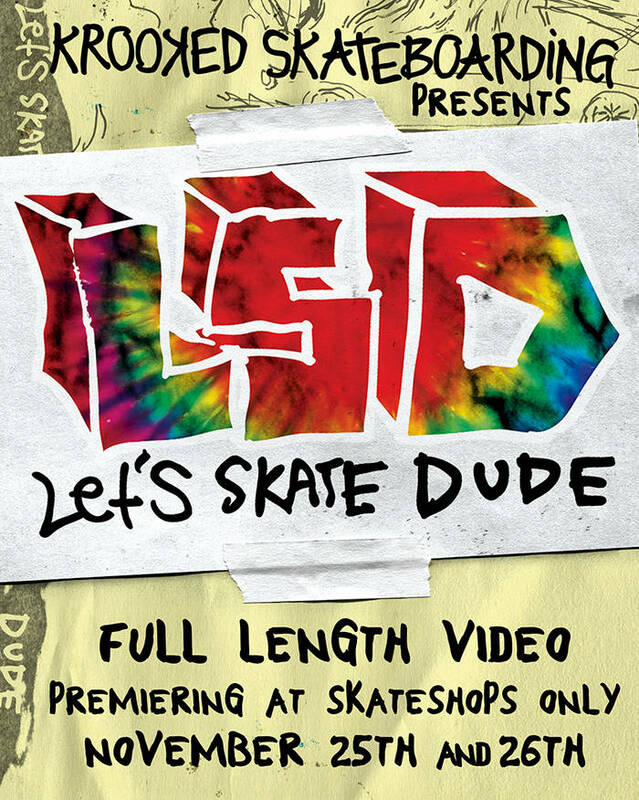 Let’s Skate Dude, or LSD for short, will be premiering in skate shops only on November 25 and 26. We’re talking about new footage from Bobby, Dan Drehobl, Matt Gottwig, Ronnie Sandoval, Sebo Walker, Brad Cromer, Mike Anderson, and the Gonz. You already know it’s going to be epic. If you don’t get down to your local and peep LSD this weekend, you’re seriously tripping.